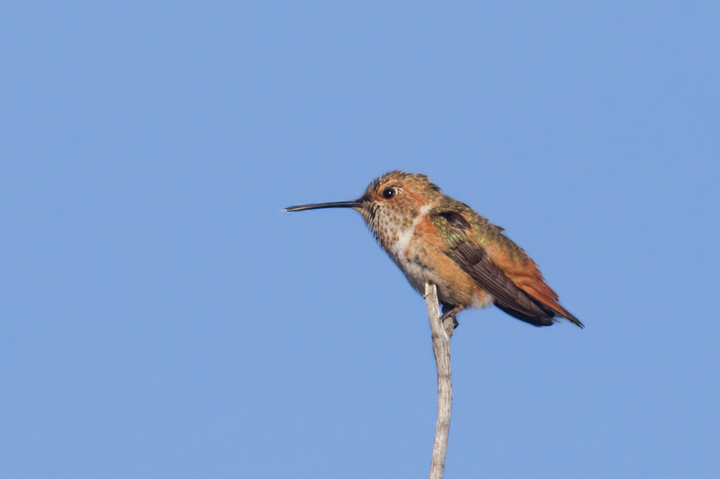 October in Southern California - Page 5. 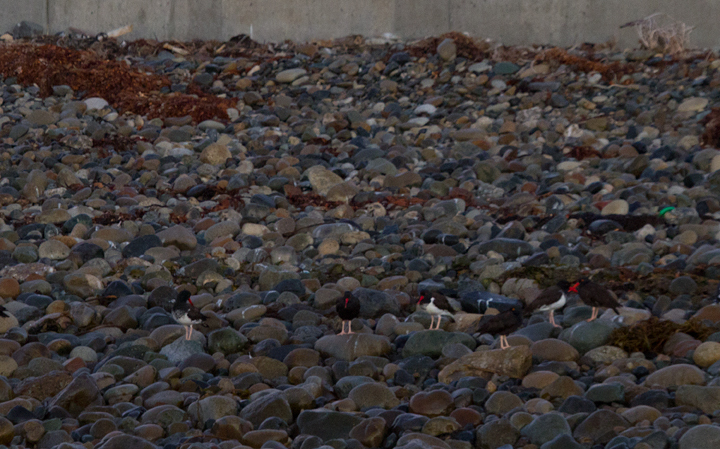 Last updated: 12/10/2011. 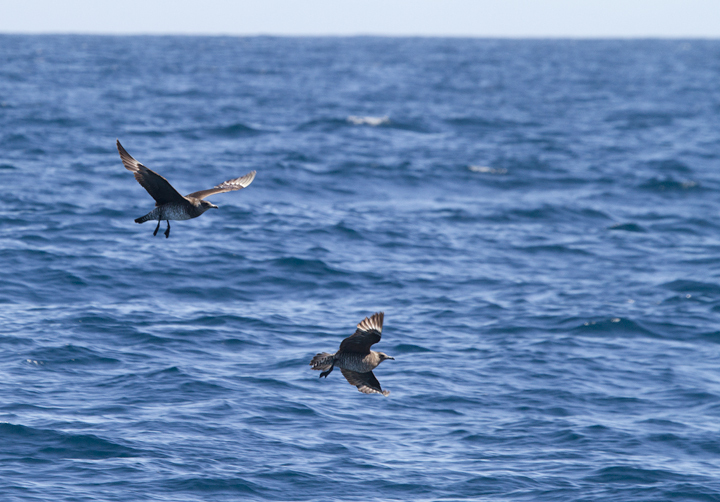 Above and below: Some of the 100+ Pomarine Jaegers we thoroughly enjoyed off San Diego, California on 10/8/2011. 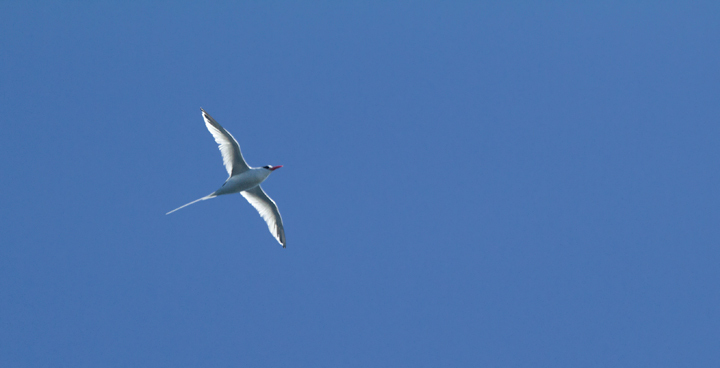 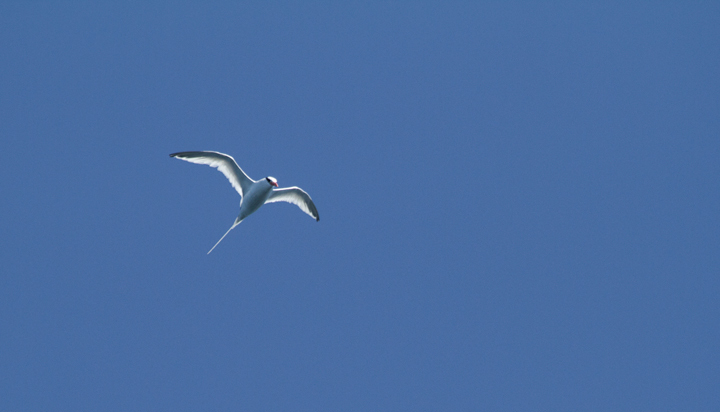 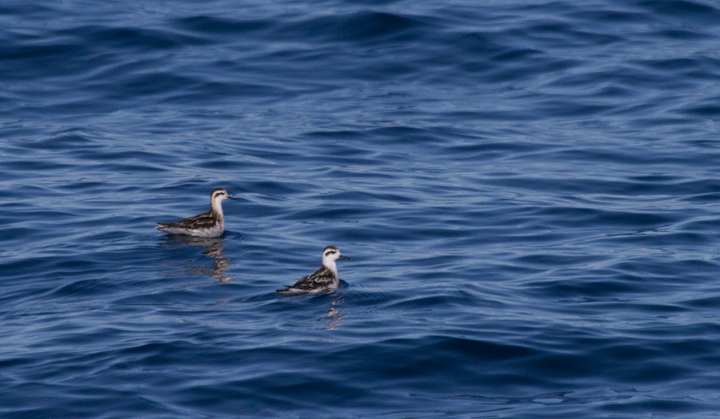 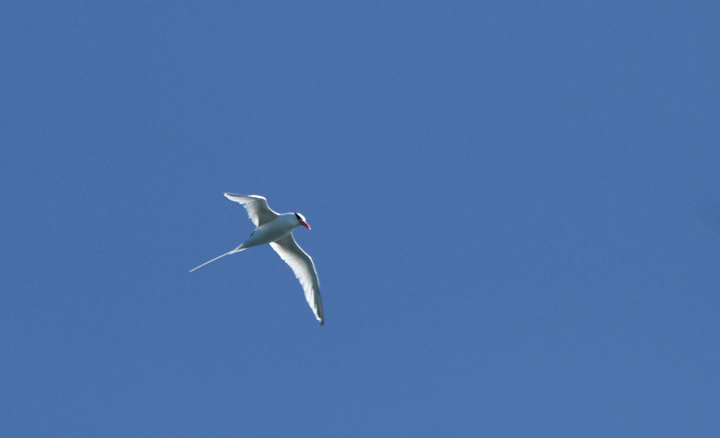 Below: A Red-billed Tropicbird was an excellent highlight on a 10/8/11 pelagic out of San Diego. 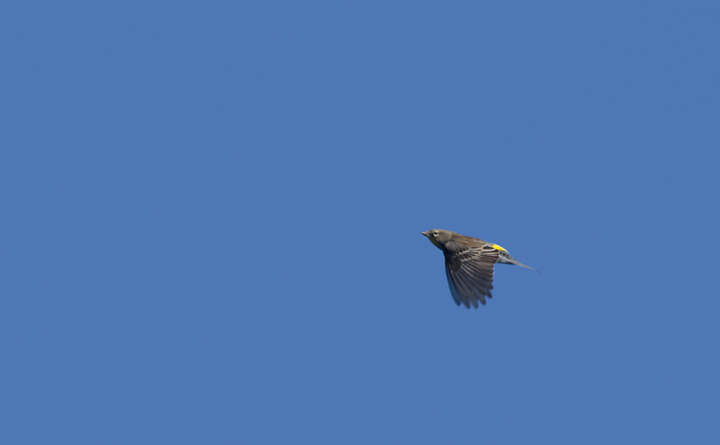 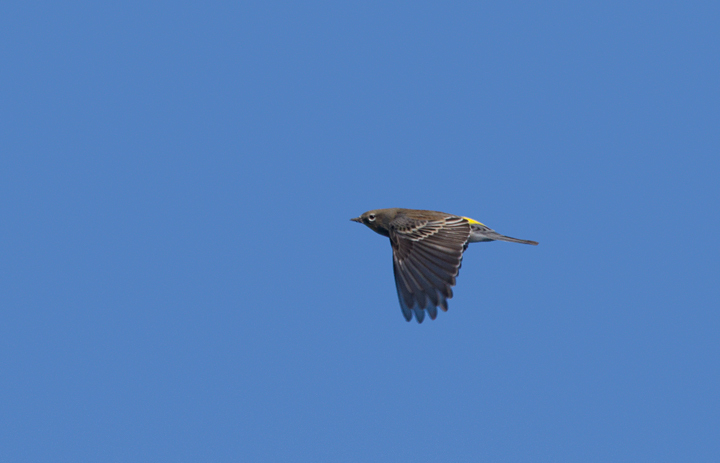 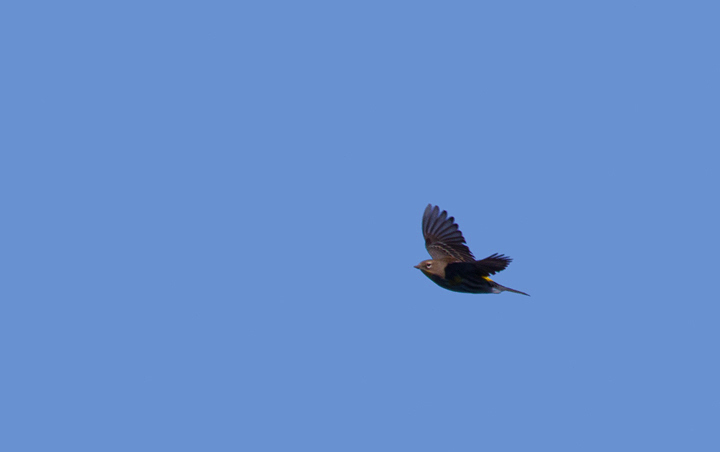 Below: An Audubon's Warbler migrating over the Pacific Ocean off San Diego, California (10/8/2011). 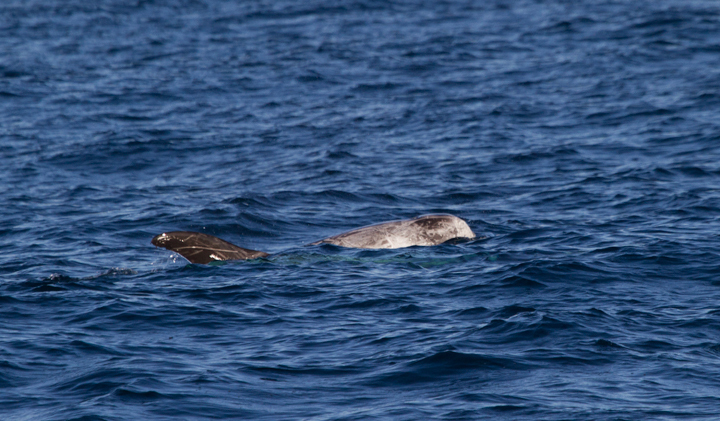 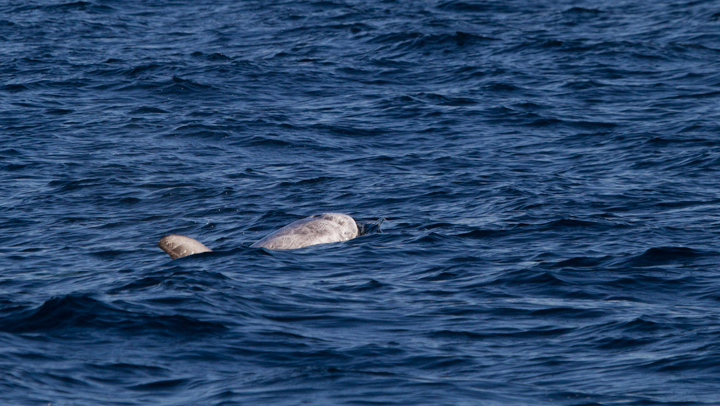 Below: Risso's Dolphins off San Diego, California (10/8/2011). 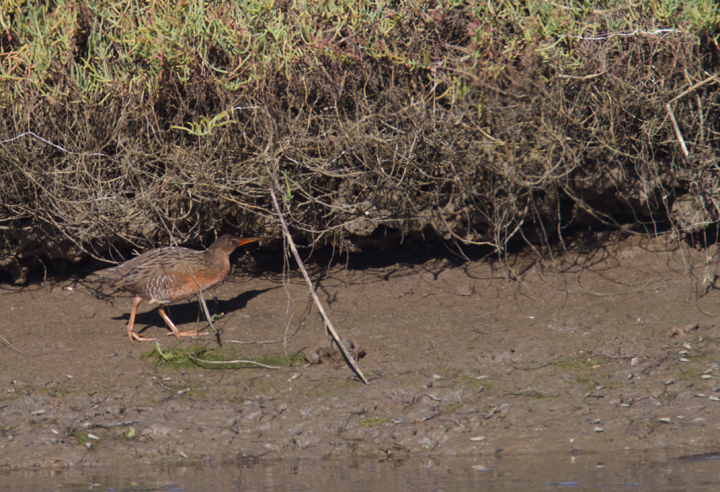 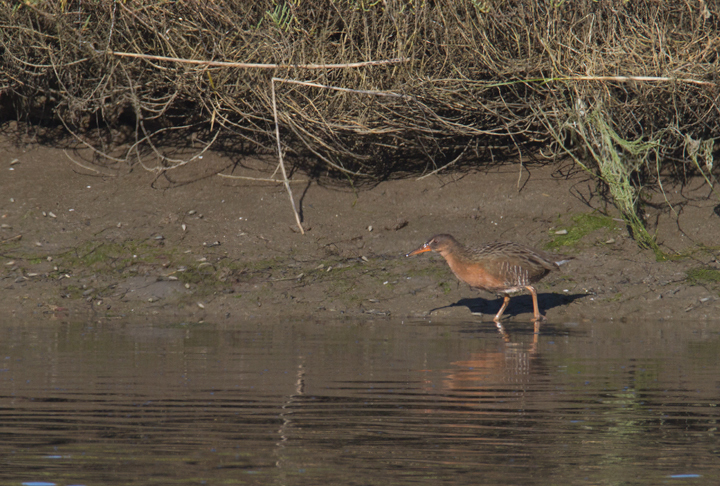 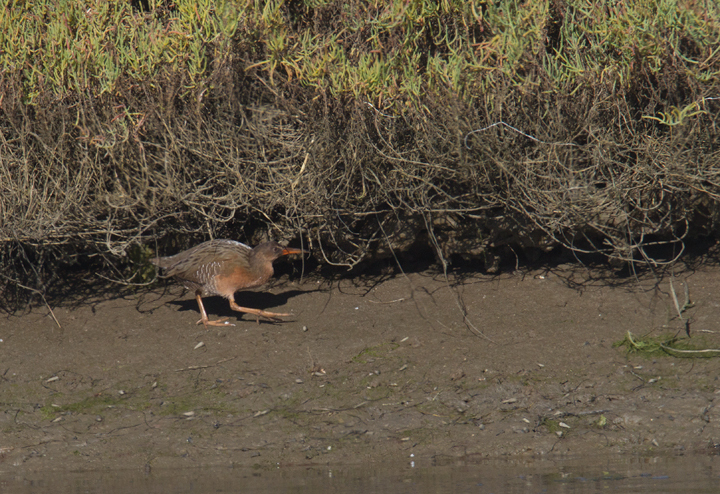 Below: A "Light-footed" Clapper Rail (R. l. levipes) forages on the mudflats near the mouth of the Tijuana River in southernmost California (10/7/2011). 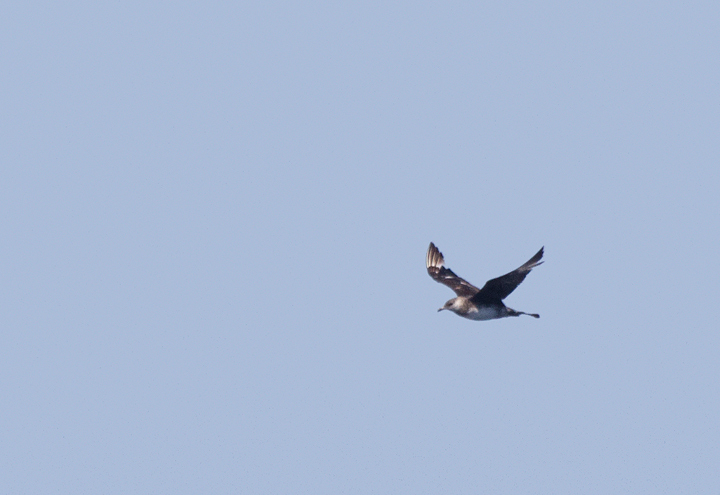 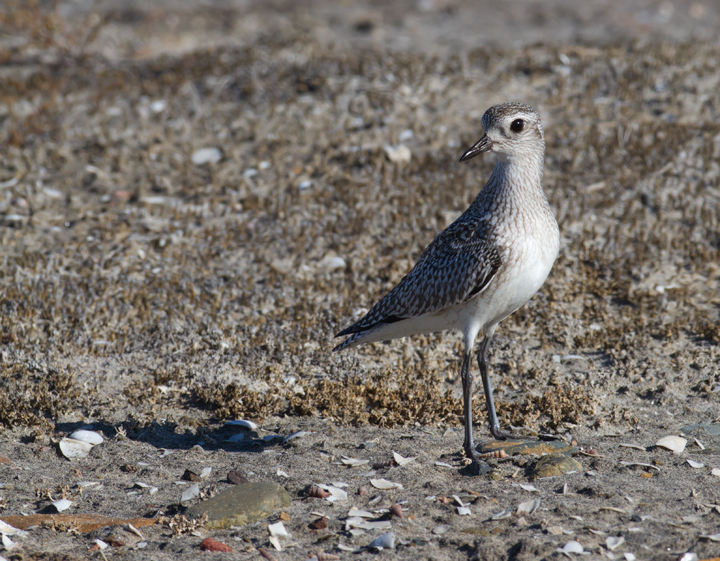 Below: A Black-bellied Plover near the Tijuana River, California (10/7/2011). 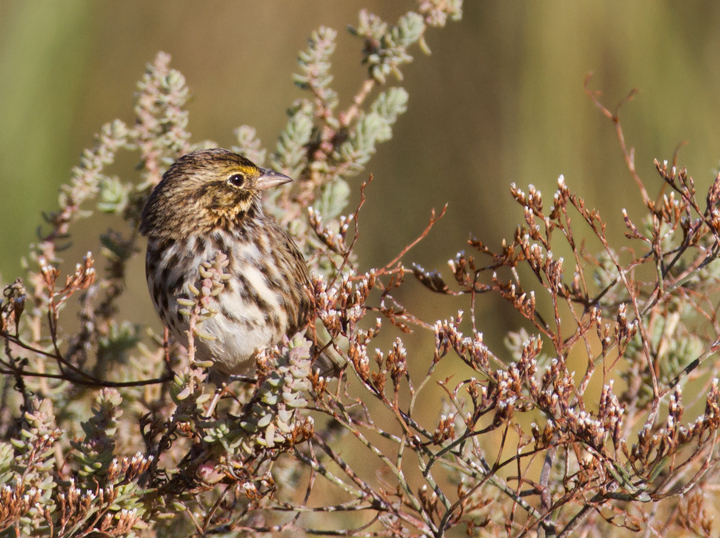 Below: A Belding's Sparrow near the Tijuana River mouth, San Diego Co., California (10/7/2011). 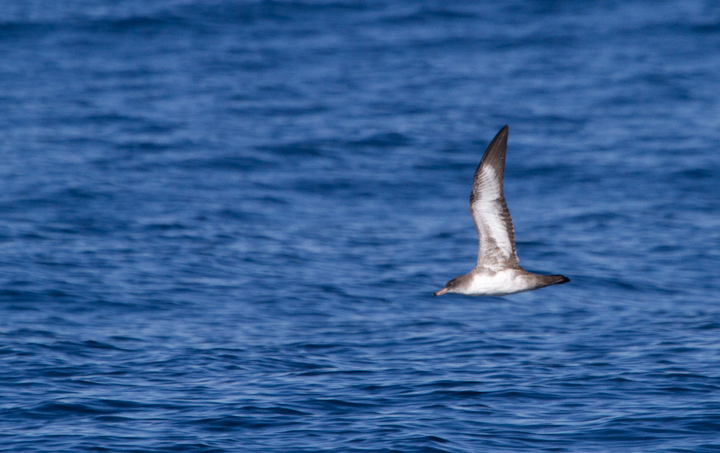 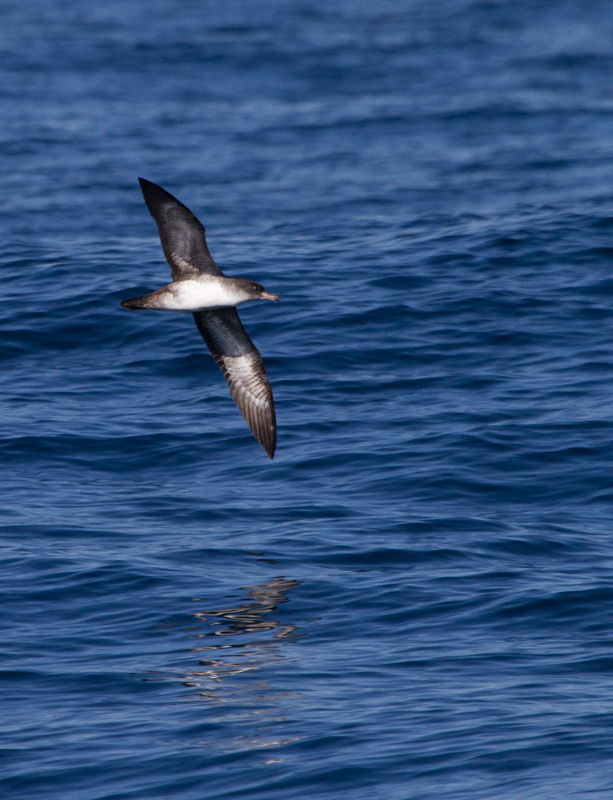 Below: Pink-footed Shearwaters off San Diego Co., California (10/8/2011). 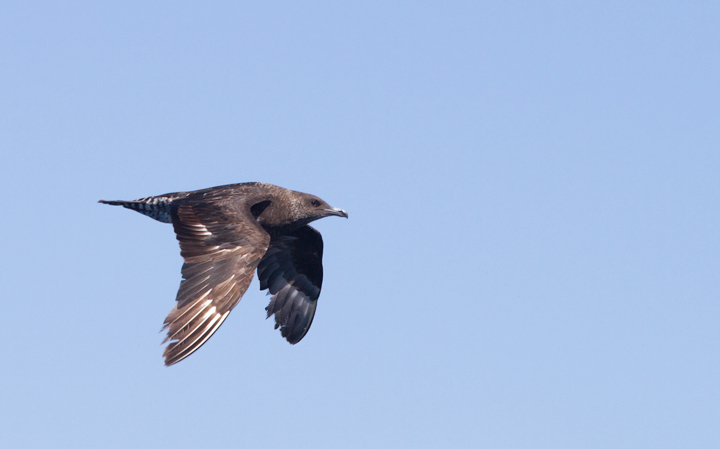 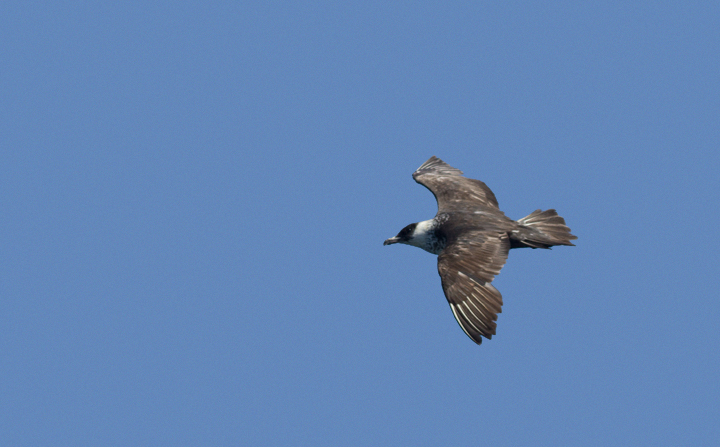 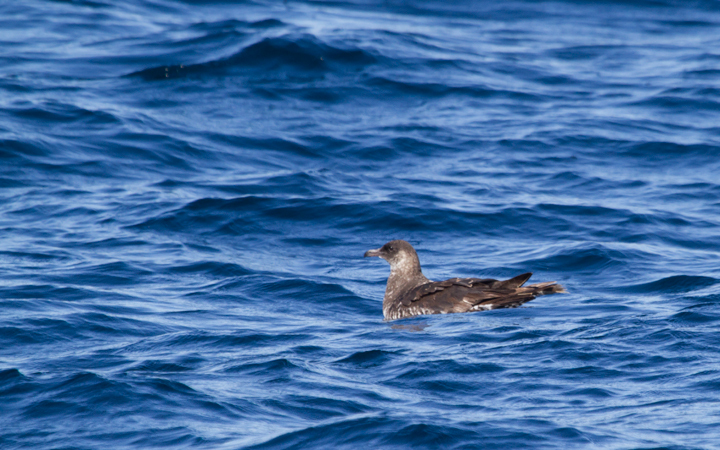 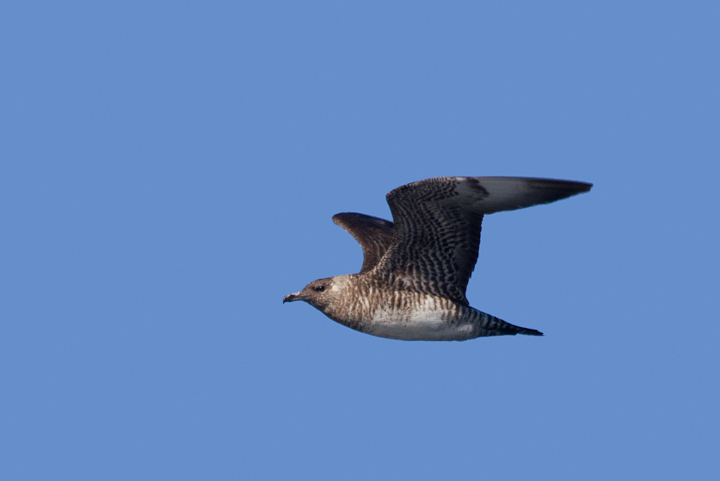 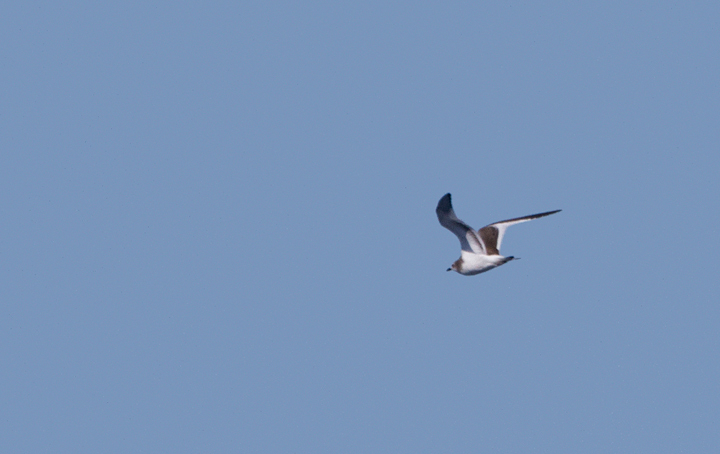 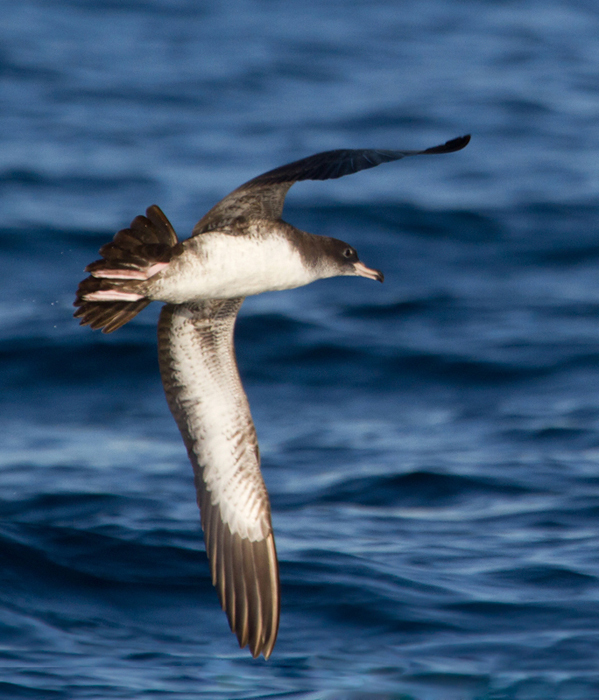 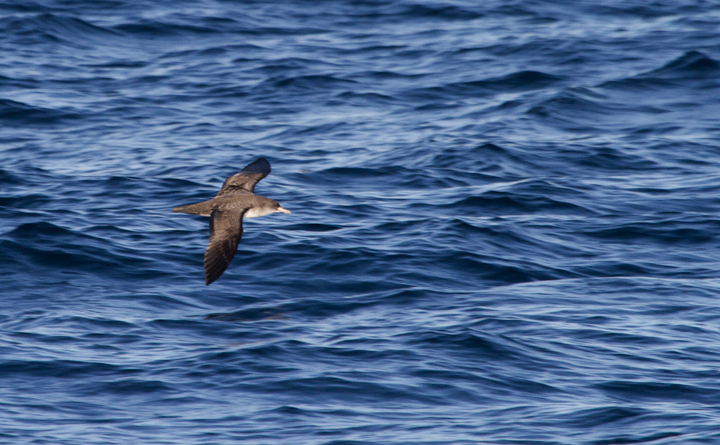 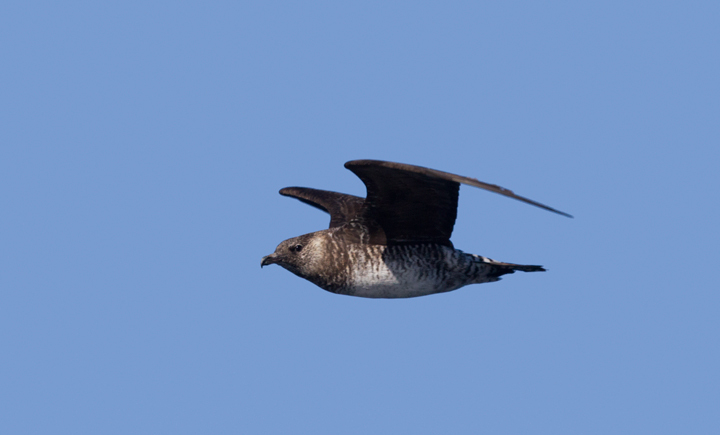 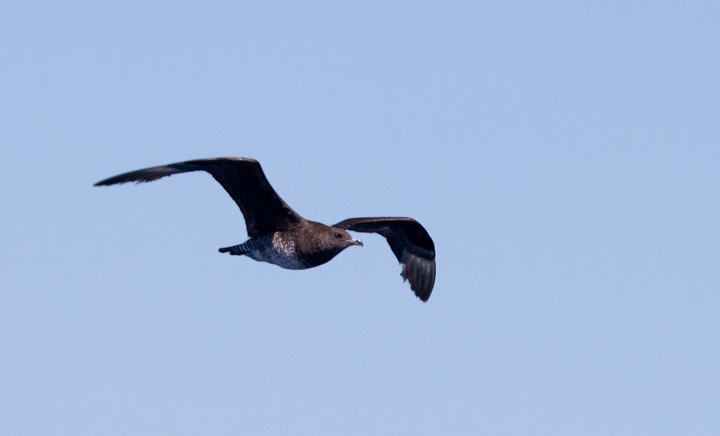 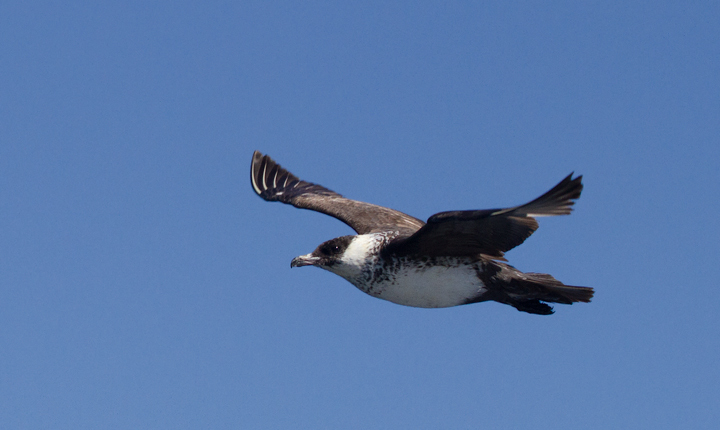 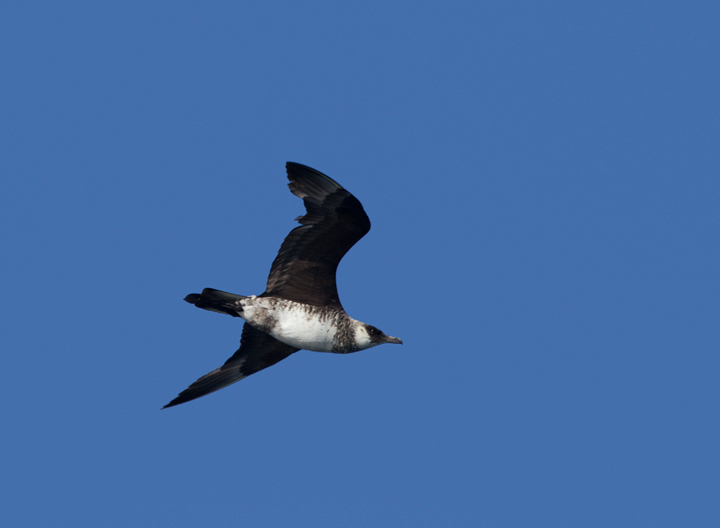 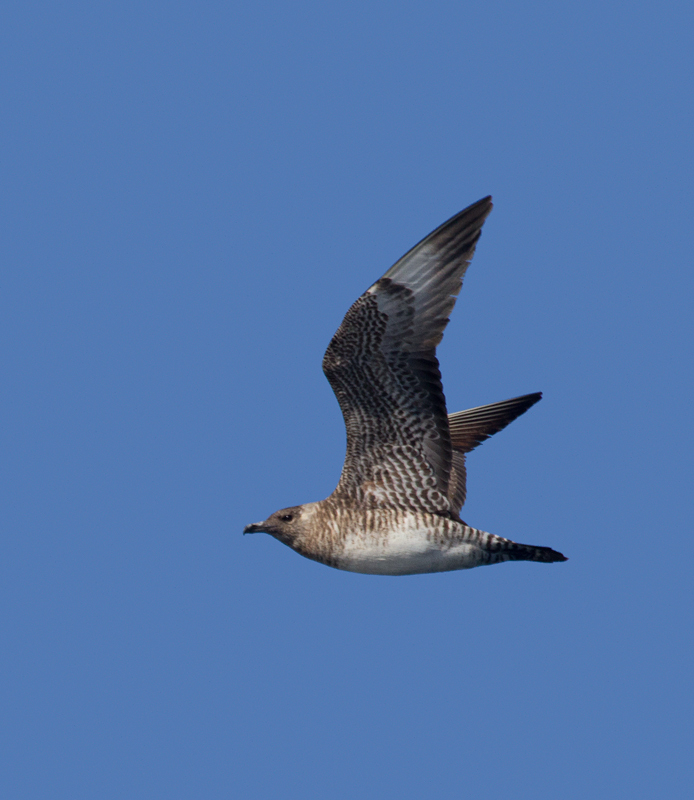 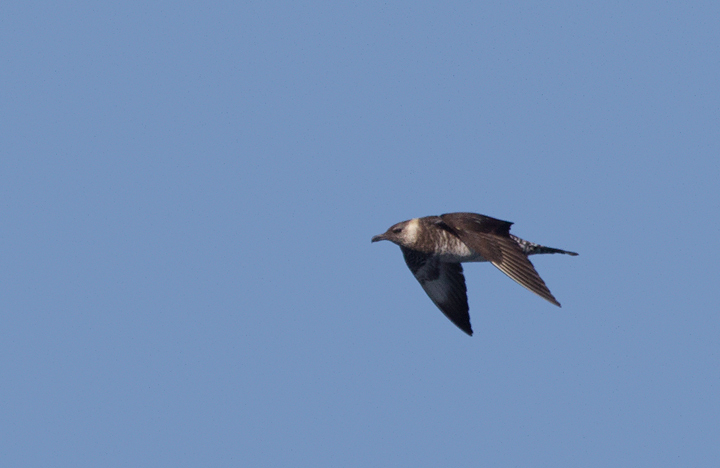 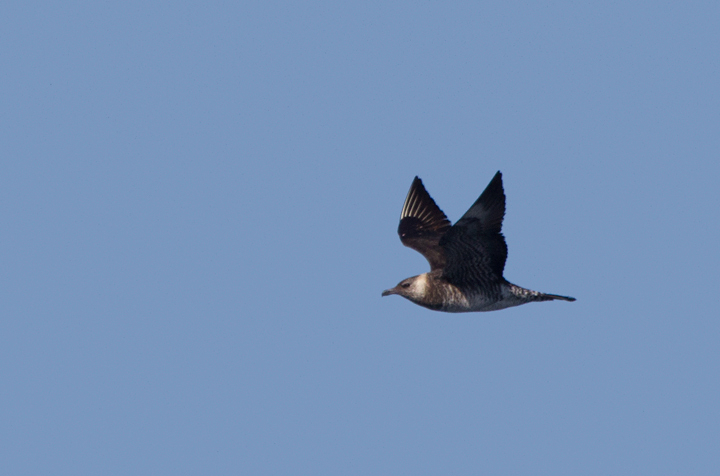 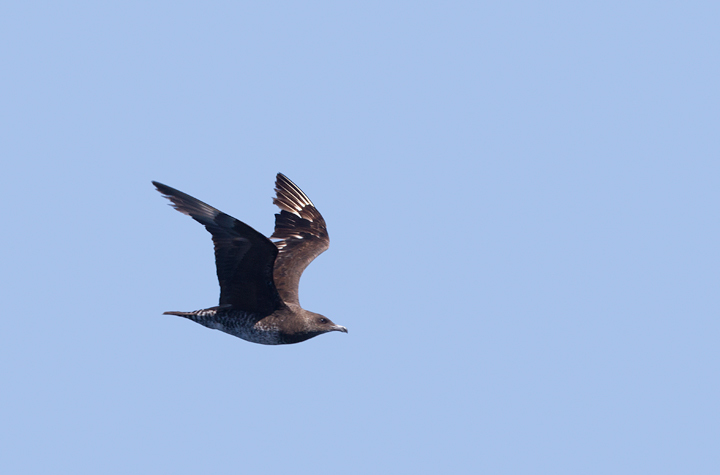 Below: A juvenile Sabine's Gull off San Diego, California (10/8/2011). 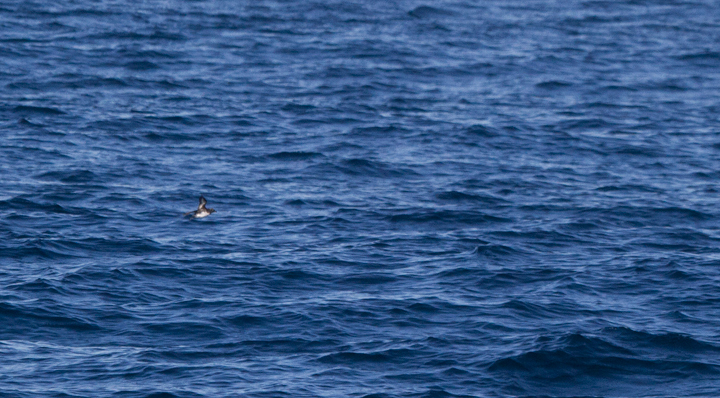 Below: A distant Cassin's Auklet - off San Diego, California (10/8/2011). 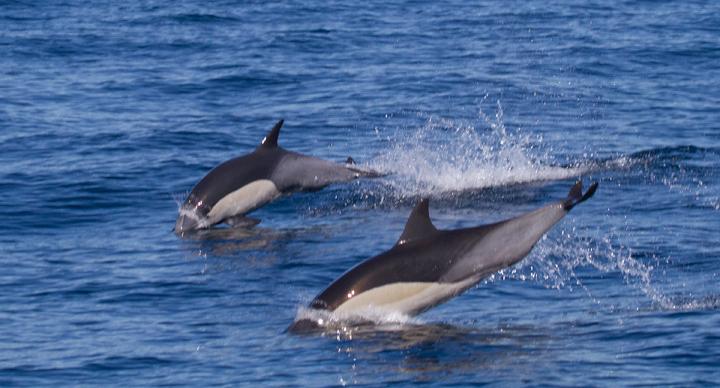 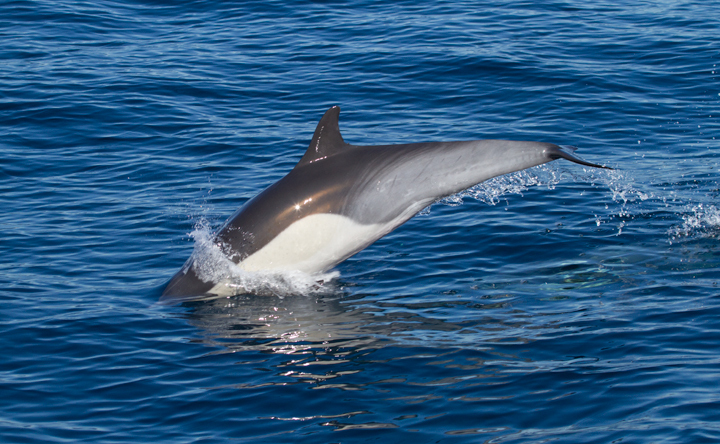 Below: Commin Dolphins off San Diego, California (10/8/2011). 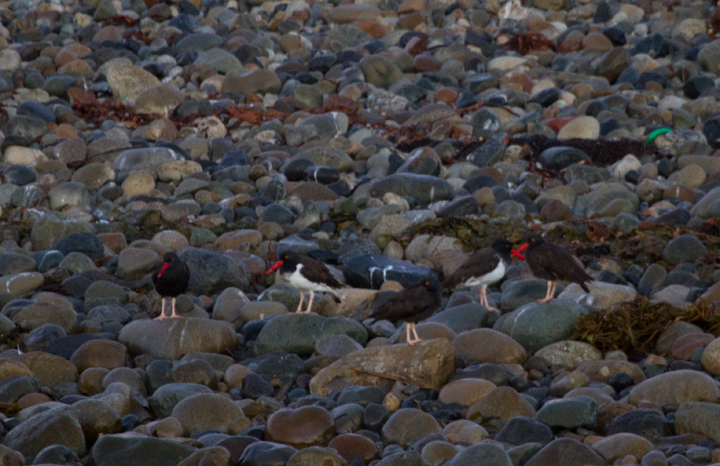 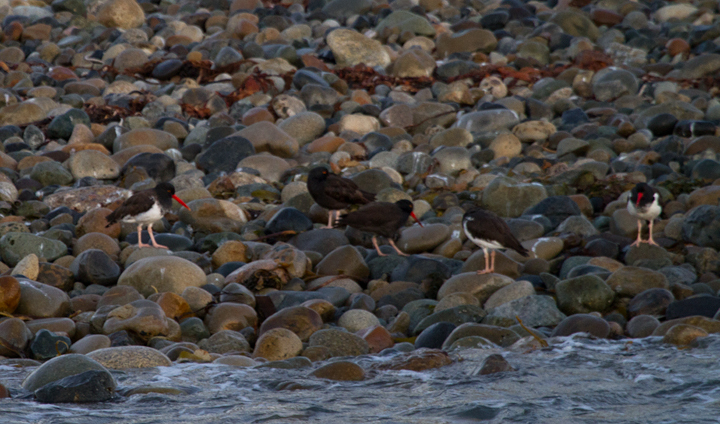 Below: American-type Oystercatchers among Black Oystercatchers in San Diego Harbor at dawn. 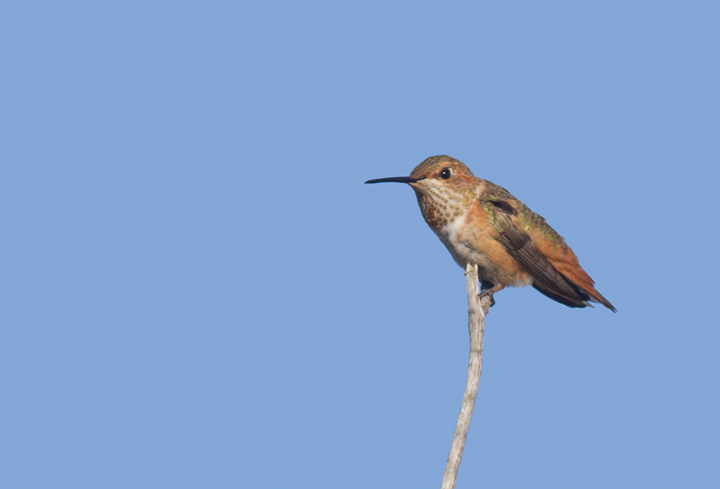 One of the three American-types might fall within range of a "pure" American, but the other two show more signs of hybridization. 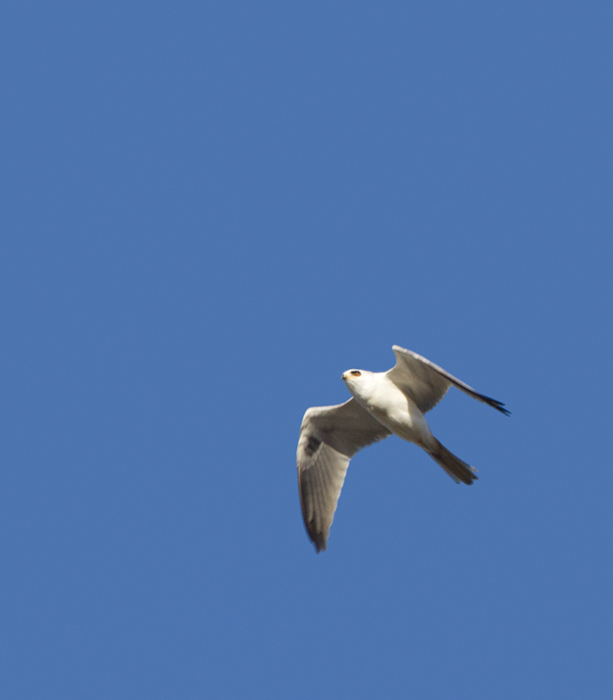 Below: A White-tailed Kite soars over the Tijuana River mouth, California (10/7/2011). 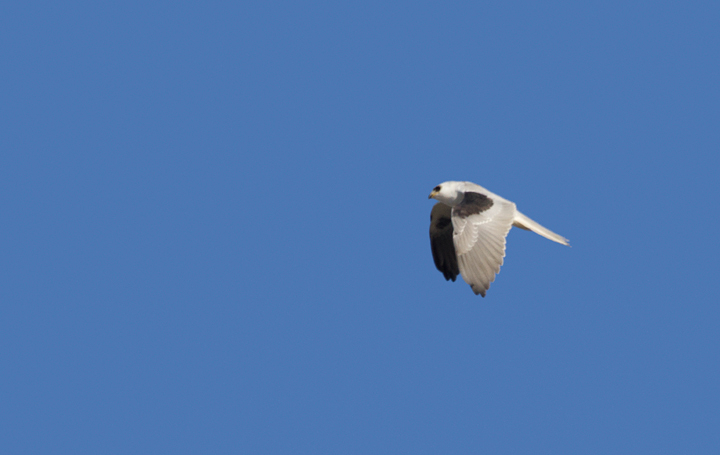 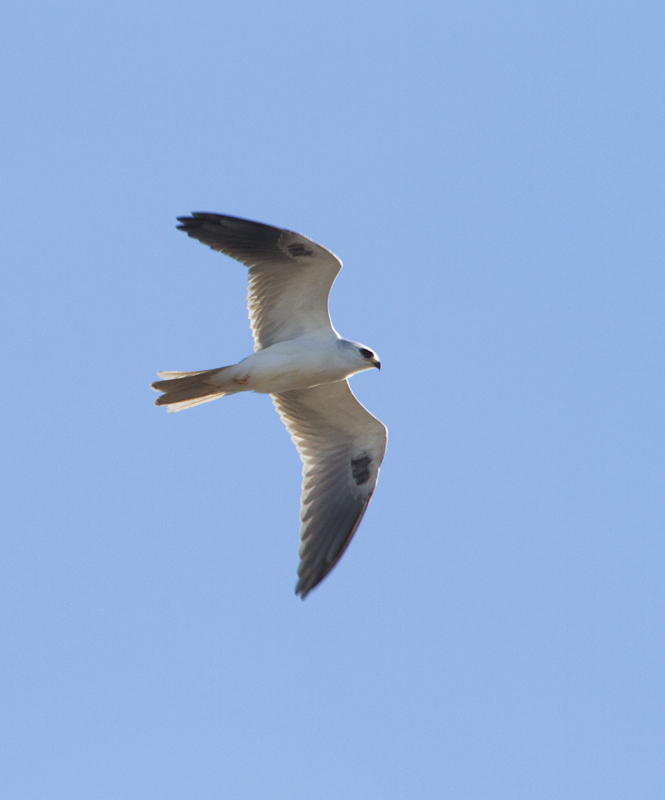 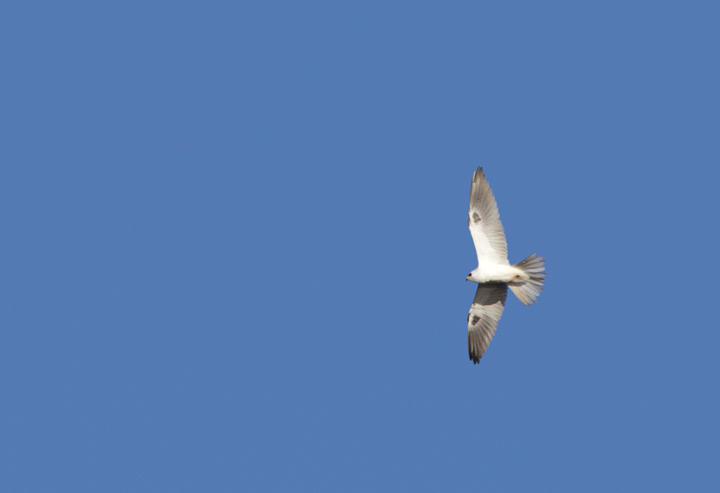 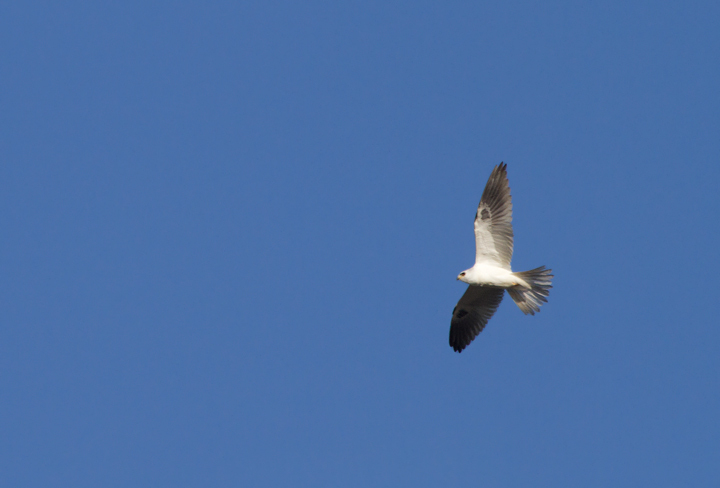 A nice example of why it used to be called Black-shouldered Kite. 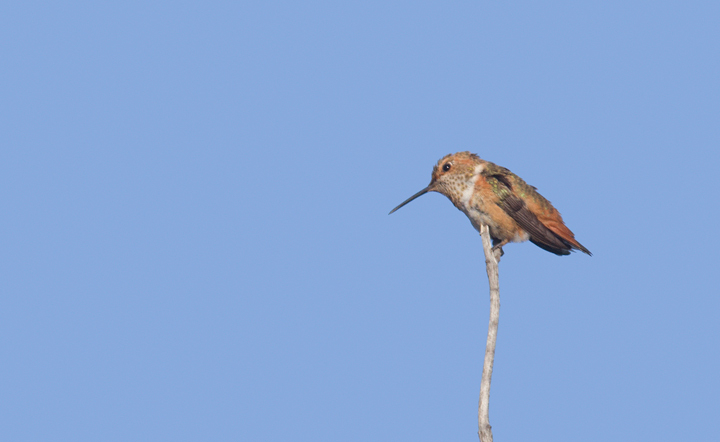 Below: A presumed Allen's Hummingbird near the Tijuana River mouth in San Diego Co., California (10/7/2011).